I'm a freelance writer living in Melbourne's South East suburbs. I have just returned from eating out for free using the EatClub app once again and wanted to share my love for this amazing app. The app shows live deals at nearby restaurants, which can be viewed as either a list or on a map. You can then click in and check out pictures of the restaurant and the food and even read the menu. For each deal, there is a set number of times it can be claimed, so it's first in best dressed. Some of the deals are available all day and some can only be claimed within a set period of time. Once you claim the voucher, you enter the time you wish to dine and the size of your party and the app will contact the restaurant and reserve a table for you! 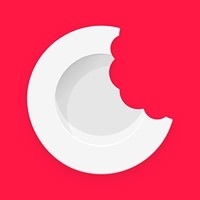 This app is particularly great for when you want to eat out but aren't sure where to go, or would like an excuse to try out a new restaurant or cafe instead of eating at your regular places. Since using this app, not only have I saved a lot of money, but I have discovered so many restaurants I didn't even know existed! It's great for both eat in and takeaway, especially for grabbing a quick discounted meal on your lunch break. Sometimes restaurants have even offered free meals to get people in to try their food! The best part is that right now they have added a new feature. If you download the app and enter a referral promo code, both you and the person who referred you will receive a free meal. So download the app and get sharing!